Catalog number concordances are available. In the printed price list, see the section after the Sweden Catalog listings. On the web site, see the separate page link in the table of contents at the top of the web page. AFA Scandinavia 2014 Catalog (AFA Skandinavien Frimærkekatalog 2014) The primary Scandinavian catalog used within Denmark. Not specialized and entirely in Danish, but handy if you correspond with collectors in Denmark. Also includes Estonia, Lithuania, and Latvia! Originally $66.50. AFA Denmark 2010 Catalog The primary annual catalog used in Denmark. Lists all Danish, DWI, Faroe, Slesvig, and Greenland stamps with COLOR illustrations throughout. Includes FDCs, booklets, most major varieties, advertising pairs, coil combination pairs, machine stamps, reprints, Christmas seals, etc. Also prices postally used covers up to 1996. If you collect Denmark (and/or Faroe, DWI, or Greenland), you will enjoy this catalog. Special in this edition: 3-Ring Numeral Cancel town listing and for the first time a special article (in Danish): Christian X 80 ore Bluegreen Stamp of 1915, including illustrating plate varieties. AFA Denmark 2008 Catalog The primary annual catalog used in Denmark. Lists all Danish, DWI, Faroe, Slesvig, and Greenland stamps with COLOR illustrations throughout. Includes FDCs, booklets, most major varieties, advertising pairs, coil combination pairs, machine stamps, reprints, Christmas seals, etc. Also prices postally used covers up to 1996. If you collect Denmark (and/or Faroe, DWI, or Greenland), you will enjoy this catalog. Now includes an alphabetical index by stamp subject (issue name) and the Greenland Pakke-Porto listings have been much improved. Originally $49.95! AFA Denmark 2006 Catalog The primary annual catalog used in Denmark. Lists all Danish, DWI, Faroe, Slesvig, and Greenland stamps with COLOR illustrations throughout. Includes FDCs, booklets, most major varieties, advertising pairs, coil combination pairs, machine stamps, reprints, Christmas seals, etc. Also prices postally used covers up to 1996. If you collect Denmark (and/or Faroe, DWI, or Greenland), you will enjoy this catalog. Now includes an alphabetical index by stamp subject (issue name). AFA Denmark 2005 Catalog The primary annual catalog used in Denmark. 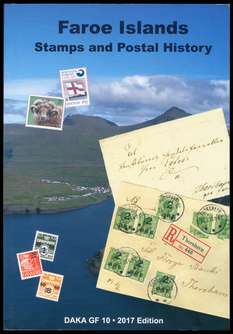 Lists all Danish, DWI, Faroe, Slesvig, and Greenland stamps with COLOR illustrations throughout. Includes FDCs, booklets, most major varieties, advertising pairs, coil combination pairs, machine stamps, reprints, Christmas seals, etc. Also prices postally used covers up to 1996. 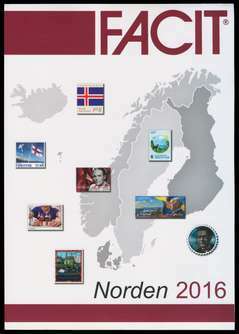 If you collect Denmark (and/or Faroe, DWI, or Greenland), you will enjoy this catalog. Originally $46.95. AFA Denmark 2004 Catalog The primary annual catalog used in Denmark. Lists all Danish, DWI, Faroe, Slesvig, and Greenland stamps with COLOR illustrations throughout. Includes FDCs, booklets, most major varieties, advertising pairs, coil combination pairs, machine stamps, reprints, Christmas seals, etc. Also prices postally used covers up to 1996. 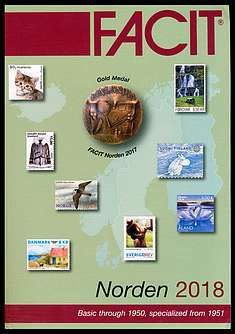 If you collect Denmark (and/or Faroe, DWI, or Greenland), you will enjoy this catalog. AFA Denmark 2003 Catalog The primary annual catalog used in Denmark. Lists all Danish, DWI, Faroe, and Greenland stamps with COLOR illustrations throughout. Includes FDCs, booklets, most major varieties, advertising pairs, reprints, etc. Also prices postally used covers up to 1996. 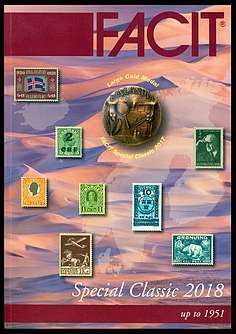 If you collect Denmark (and/or Faroe, DWI, and Greenland) you will enjoy this catalog. Price reduced from $35.95. AFA Denmark 2002 Catalog The primary annual catalog used in Denmark. Lists all Danish, DWI, Faroe, and Greenland stamps with COLOR illustrations throughout. Includes FDCs, booklets, most major varieties, advertising pairs, reprints, etc. Also prices postally used covers before 1990. AFA Denmark 2001 Catalog The primary annual catalog used in Denmark. Lists all Danish, DWI, Faroe, and Greenland stamps with COLOR illustrations throughout. Includes FDCs, booklets, most major varieties, advertising pairs, reprints, etc. Also prices postally used covers before 1990. AFA Denmark Specialized 2008 Catalog Important edition of this valuable specialized catalog of Denmark, Faroe, Greenland, DWI, and Slesvig. COLOR ILLUSTRATIONS. Specialized stamps, printings, varieties, watermarks, coils, booklets, ad pairs, covers, etc. SPECIAL SECTIONS include COLOR PLATES OF ALL PRINTINGS OF DENMARK #1 THRU THE BICOLORS, and PRICED LISTINGS OF ESSAYS, PROOFS, and REPRINTS. 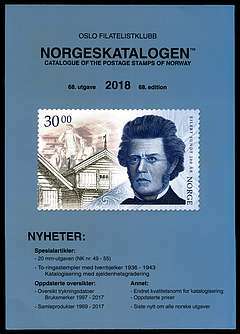 Though in Danish (with English word list), this catalog is an absolute must-have reference for all intermediate and advanced collectors of Danish philately. Again improved, especially in GREENLAND. 912 pages, hardbound! Valuable! AFA Denmark Specialized 2002 Catalog Completely revised and tremendously expanded coverage of Denmark, Faroe, Greenland, DWI, and Slesvig. NOW WITH COLOR ILLUSTRATIONS. Specialized information on the stamps, covers, printings, varieties, watermarks, coils, booklets, ad pairs, etc. SPECIAL SECTIONS include COLOR PLATES OF DENMARK #1 THRU THE BICOLORS, ALL PRINTINGS and PRICED LISTINGS OF ESSAYS, PROOFS, and REPRINTS. Though in Danish (with English word list), this catalog is an absolute must-have reference for all intermediate and advanced collectors of Danish philately. Hardbound, 800 pages! 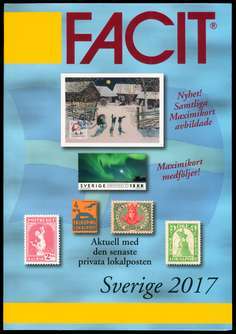 #1831 AFA Specialized 1987-88 Catalog A huge catalog with extensive specialized listings of the stamps of Denmark, Faroe, Greenland, Slesvig, & DWI. Special articles include: Essays & Proofs, Slesvig-Holstein, Greenland postal history, and Christian X issue. All articles are still current and still very valuable! A standard reference! Now completely out of print. #1832 AFA Specialized 1987-88 Catalog ENGLISH TRANSLATION English translations only of the special subjects: Schleswig-Holstein, Denmark postal labels, Greenland postal history & cancels, Denmark essays & proofs, and Denmark Christian X Bicolors 1918-33. A companion volume, without pricing, to the original edition. #1131 AFA Specialized 1981-82 Catalog Replaced in 1987-88 & 1995, but this edition is still the all-important source of detailed, specialized information on the BI-COLOR ISSUES. Now completely out of print and sold out. #1132 AFA Specialized 1981-82 Catalog ENGLISH TRANSLATION Complete English translation of the Denmark & Greenland sections, but NOT including the specialized Danish bi-color chapter. Companion volume, without pricing, to the original edition. #1133 AFA Specialized 1981-82 Catalog ENGLISH TRANSLATION Bi-Colored Issues Extremely useful and still current translation of this important chapter. A companion volume, without pricing, to the original edition. Highly recommended. If you have any interest at all in the Danish Bi-Color issues, you will find this extremely useful. #1164 Greenland Cinderella Catalog 1999 DAKA GF7 (DAKA, 1998; Cinderella 1999 Gronland DAKA GF7) A totally NEW catalog of all 'Cinderella' aspects of Greenland philately: Christmas & Charity Seals, Souvenir Cards, Essays, Revenues, Savings Stamps, Meter Imprints, etc. This is a must-have catalog for all Greenland collectors. In ENGLISH. AFA Iceland Specialized Catalog 1997 (AFA, SPF, Smith; 1997) Translated, revised, and completely updated listings from the 1995 (Danish) Specialized Catalog. In my opinion, the best Iceland catalog for issues to 1940. Stamps, plate varieties, cover and postal history pricing, postal rates, early cancels, etc. Completely in English. Though this was published in 1997, it is still (2013) the best available on the subject. Sturdy coil bound; can be opened all the way around and lays completely flat. 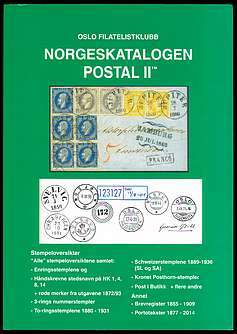 Norgeskatalogen 1996 Special sections include prephilatelic mail, posthorn type identification, postal rates, known early cover rates & destinations, classic date blocks, numeral cancels, single-ring cancels, and modern paper varieties. Still very useful; low cost.